To find sailfish, you’ll need to explore the warmer parts of the ocean around the world. 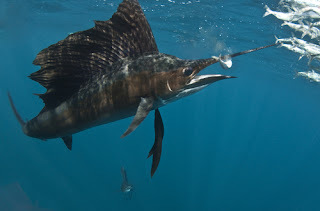 As a species of billfish, they are recognizable because of their blue to gray color, their large dorsal fin known as a sail and perhaps most strikingly, their elongated bill that some people might confuse with swordfish. Instead of their name of sailfish, some fishing circles choose to just call them billfish. Sailfish are divided into two types called the Atlantic and the Indo-Pacific. While they’re classified differently, the differences in terms of their DNA is still very slim, so they’re typically grouped into a single species. Sailfish can grow very rapidly. In about a year, it can grow up to five feet in length. They’re often found feeding close to the surface of the water or at middle depths, enjoying food like squid or smaller forage fish. One of their most impressive features is the incredible jumps. You probably won’t see them moving that fast very often, but sailfish are capable of reaching speeds of nearly fifty miles per hour, among the highest of any organism! Those large sails you see are often folded to one side, if the fish is excited or threatened, it will appear raised as a means of making the sailfish appear to be larger than its actual size. Besides their jumps and incredible speed, sailfish also have the ability to rapidly change body color from its natural blue to yellow-like stripes. This amazing ability is done by the nervous system and allows sailfish to confuse its prey. It’s also used as a communication tool of sorts to inform fellow sailfish about its intentions. 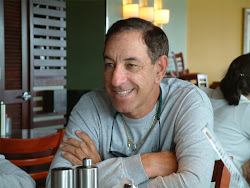 THERAPY-IV, a Miami Beach fishing boat service, brought this update to you. This charter provides all of their clientele with a high-end deep sea fishing experience. With their luxury yacht, exceptional customer service and experienced and professional Captain and crew, visitors can rest easy, they will not only have a memorable fishing experience but will also have the pleasure of visiting the best spots off the coast of Miami and Biscayne Bay. To schedule a trip or to learn more about Miami deep sea fishing, contact 305-945-1578.